28 February 2012: The Next Web launches the first iPad edition of its global online publication today, created on the mag+ digital publishing platform. Beautifully designed and full of fresh, long format stories, The Next Web’s (TNW) new monthly iPad issue complements its hugely successful international business, technology and culture blog, read by 5.1 million readers a month. The new app available from today in Apple’s Newsstand features a moving front cover, links straight through to iTunes for products that are reviewed, and wallpaper art available to download for free right away. 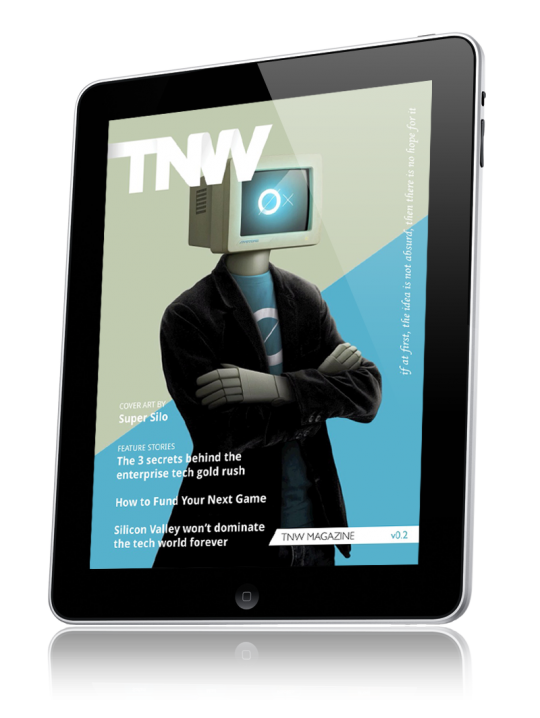 TNW is offering this first full iPad issue for free, with a yearly subscription at US$9.99. The option to buy one-off editions for US$1.00 will soon be in place. Moving covers: using video to show off work by the artist of the month. Riveting gadget reviews: including big images and focusing on innovative and futuristic gadgets, such as concept cars and phones. Movie, book and app links to iTunes and embedded HD movie trailers in the review section: these will bring reviews to life, and allow readers to download reviewed products on the spot. iPad wallpapers from featured graphic artists: Graphic artists feature prominently each month, with full screen photos of their work. Many of these images will be available as wallpaper to download right away. Bespoke, high-value ads: using all the interactive functionality of iPad to show off advertisers’ products and services. TNW iPad magazine’s exquisite artwork is provided by Kuvva.com (http://Kuvva.com).